Get your arbor construction project in Danville CA designed and built by Hawkins Pools – we do so much more than pools! 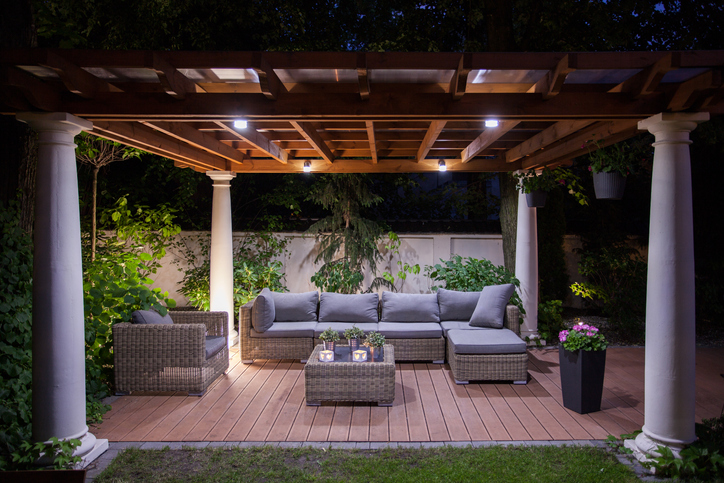 We love working with clients to create beautiful outdoor spaces that bring everything together. Working with the right arbor contractor gives you the opportunity to have a professionally constructed, original arbor placed anywhere on your property, from a garden entryway to a decorative trellis. Our team is happy to work with you to design a custom arbor that fits your budget and showcases your personal style. Our business is known for building and renovating pools, but we also construct pool houses, pavilions, guest houses, cabanas, arbors, fire pits, and other outdoor structures. While your pool may be the focal point of your yard, there’s so much more you can do to create a welcoming family space. If you enjoy the elegance of walking paths and flower gardens, an arbor is the perfect element to add a finishing touch to your property. Hawkins Pools offers arbor construction to Danville home and business owners, along with the expertise of our design and build team. Our designer is a published artist with more than 35 years of experience in landscape design and construction work. We’re proud to have him on our side along with our building team, who put his designs into practice. When you select an arbor contractor, you want one with the experience to get the job done well. We’re a team of certified contractors who have an extensive portfolio of projects like yours and we’ll be glad to show our work to help get the inspiration flowing. To contact us about an arbor construction project for your Danville home or property, please us our convenient online contact form to let us know your budget and the details of the job you’re planning. A member of our team will get back to you as soon as possible. You can also call us at 925-886-1300 to set up an appointment during normal business hours. We look forward to working with you!